← Replacing Baby Jake — Suggestions, please! It’s clear we have a problem. What’s the solution? In a word, complicated. The minute you hold people accountable for being competent drivers, the percent of the population that will be ineligible to drive a car will be too large to ignore. 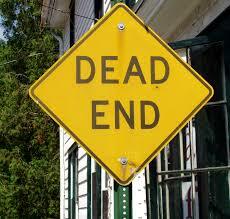 In a way, we’ve driven and engineered ourselves into a literal dead end here. Are we willing to change? Or do we just accept these lost lives — lives of pedestrians, bicyclists, and motor vehicle occupants — as [yet another] “cost” of our car culture? We can reform drivers’ education and licensing, both standardizing the process across all states (in Iowa, I completed a fairly decent drivers’ ed course to get my license in high school; across the border in Missouri, Matthew had no such requirements), and modeling it on rigorous programs in other countries — we don’t have to reinvent the wheel here. At the same time, we need to continue the work that is being done to increase transportation options for those who would not have a drivers’ license in the new system (and those who have licenses but crave other options!) and [re]create communities and cities that are not car-dependent. Fortunately, these changes have benefits that go far beyond making the roads safer: more vibrant communities and local economies, as well as the physical and mental health rewards of active transportation. Analyze your own driving habits. Are distractions and/or bad habits endangering your life, those of your passengers, and everyone else you encounter on the road? It only takes a split second for a collision to occur. Reduced attention and reaction time costs lives. Pay attention! Recognize bicyclists as fellow humans and equal road users. 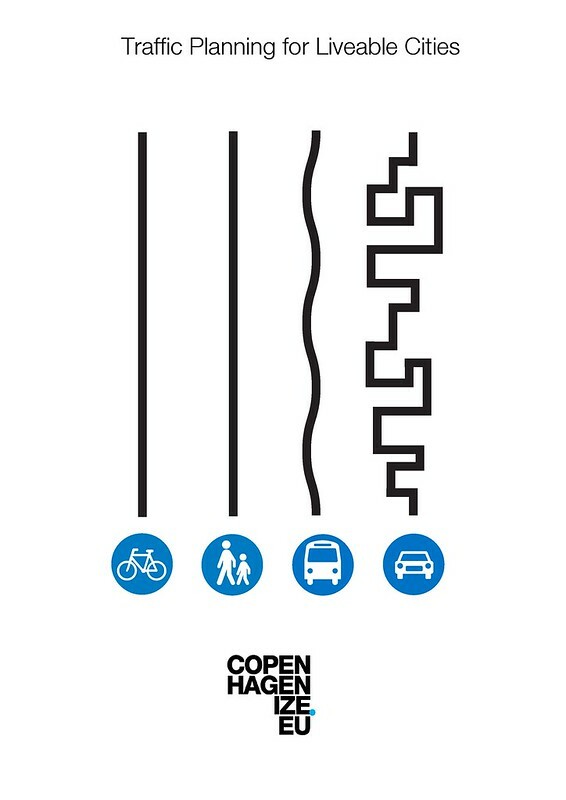 Practice patience, whether it’s a slow motorist, a bus making frequent stops, a pedestrian crossing the street, or a woman biking to work. We all have places to go. If we’re aware and respectful, we will all get there. Breathe. Try an alternate way of getting from Point A to Point B (i.e., making a trip without your car), whether it’s walking, riding a bike, or using transit. Support policies that call for stricter licensing requirements, better education, and stiffer penalties for offenders. Support investments in public transportation and safe, well-engineered infrastructure improvements. This is a complex problem. Change will be neither fast nor easy, but it is possible. *In addition to recent events, this post was inspired by a discussion in a Facebook group for female cyclists. All quotes here are from that discussion, used with permission. Thanks, ladies! This entry was posted in Biking and tagged fighting car culture. Bookmark the permalink. OMG yes, yes, YES!!! So many thoughts here that I’m not sure I can fit them all in without becoming completely incoherent. First thought. When I lived in Norway (where people drink like fish) I never, ever, EVER saw anybody drink and drive… EVER. Seriously, not even one sip. This is because they as a culture have decided that drinking & driving is unacceptable and you lose your license FOR LIFE after ONE offense. So even when I’d go out with the lushest of the lush (not a crowd I usually hung out with, but on occasion my whole class would go out together) they were religious about having designated drivers. Second thought. I think cities need to start taking an “enlightened self interest” approach to cycling and pedestrian infrastructure… which Denver is actually starting to do. Denver has a stated goal of 10% bicycle commuting mode share by 2018 and they are actively working to make it easier and safer to cycle. I have a post in the works on this, but something very similar to my bike lane fantasy is actually coming to pass… they’re called “bike boulevards” and I am beside myself with excitement! But it doesn’t end there… the metro area has made deep investments in mass transit and more are coming. It’s like people are going sane or something… I’m not quite sure how to process it! And one other stray thought that I’ll toss in here. It seems to me that bike lanes could be made at least somewhat safer if instead of just using paint to delineate them, they put those little bumpy things like they sometimes do on highways between lanes so drivers would instantly know if they were drifting into the bike lane. It wouldn’t help the larger issues with bike lanes (like intersections and door zone crashes) or the crime of distracted driving, but it would be a start. Holy Moly! I had no idea it was actually gonna insert those graphics… making my absurdly long comment even longer. Anyhow, sorry I can’t shut up on this topic, obviously you’ve struck a chord. Sounds like Norway has it right, and would be another good place we, as a country, could look to for better policies and consequences. I’m working on a post on bike infrastructure from our recent Portland trip, and the bike boulevards were a highlight. Glad you’ll be getting some in Denver! Depending on speed, even with bumps or rumble strips, by the time a motorist noticed AND corrected drift, it might still be too late, and, yes, as you point out, bike lanes would still have issues. We have to incentivize traffic safety education for kids 12 and up. Kids who learn to bike correctly in traffic will naturally be better motorists because they understand both the rules of movement and the ramifications of vulnerability. So how do we incentivize it? Increase the driving age to at least age 18 (21 would be better), then allow earlier licensing only after a child has attended comprehensive walking, bicycle driving, and motor vehicle driving instruction. Subsidize courses for lower income families.